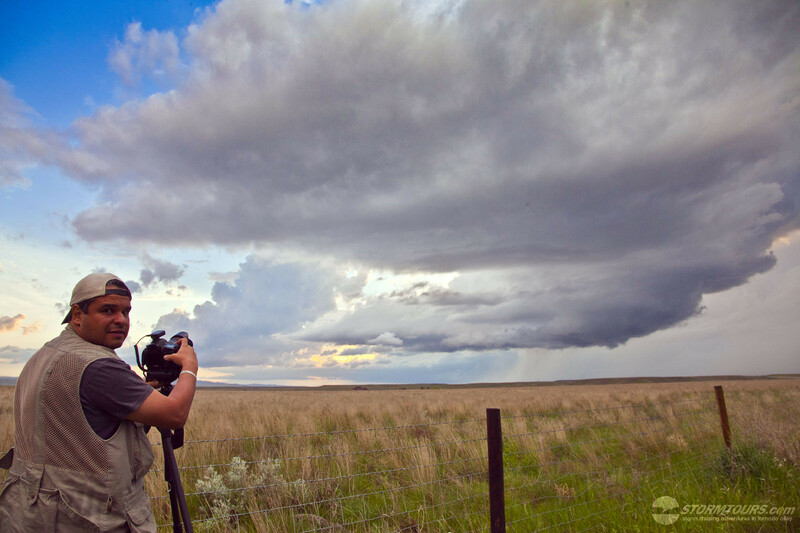 Highlights with photos, video and narrative of some of our more memorable past storm chasing accounts. 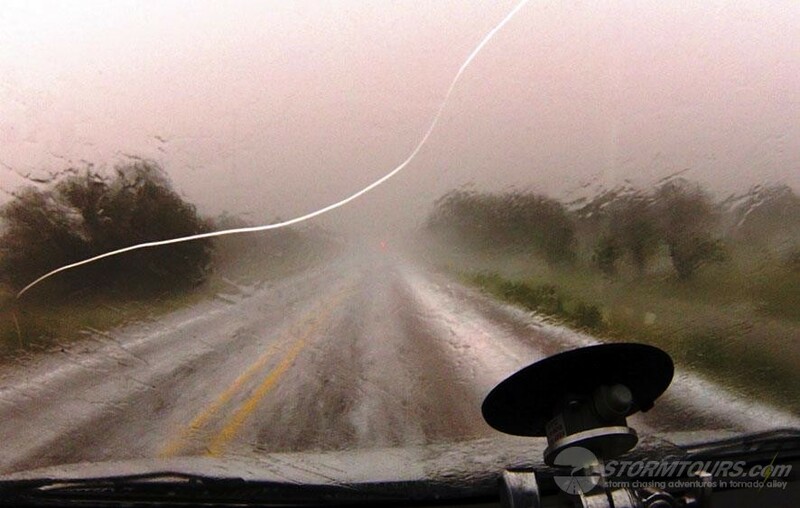 An exciting day of storm chasing in south-central Texas, which ended with a busted windshield due to hail! 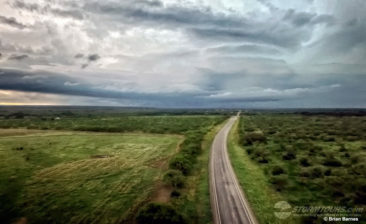 We started in the day in Lubbock and worked our way south towards Eldorado where we intercepted a decent looking, well structured supercell with a rotating base. 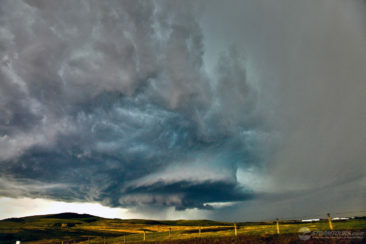 Hopes were up as the storm began to lower and built an intense looking rotating wall cloud, but this storm wouldn’t produce a tornado, even though it tried very hard to do so! Our road options weren’t “picture perfect,” but the storm was traveling due east, so we traveled along with it on highway 190 towards Menard. 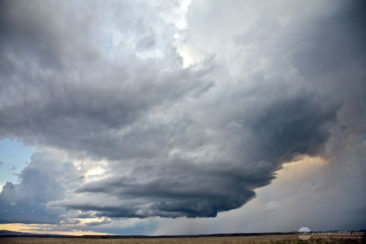 Near Fort McKavett, the storm began a more southeasterly track and crossed the highway in front of us. 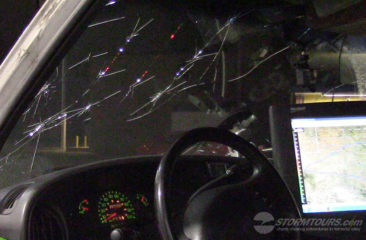 With little road options open, our only choice was to either lose sight of the updraft base, or punch through the core of the storm to advance our position to the next available south road option — we decided to take the adventurous route and 10 minutes later, the windshield in the lead chase van was completely destroyed by hail, which also completely covered highway 190! 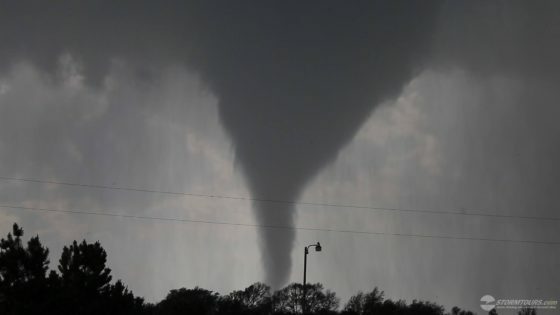 It became obvious after punching through the storm that it was going to get away from us as it gained forward speed and moved over the South Texas Hill Country. We decided to fly the drone and shoot some video from the air as we parted ways with the floating ice box, then headed back into San Angelo and setup an appointment for a new windshield. 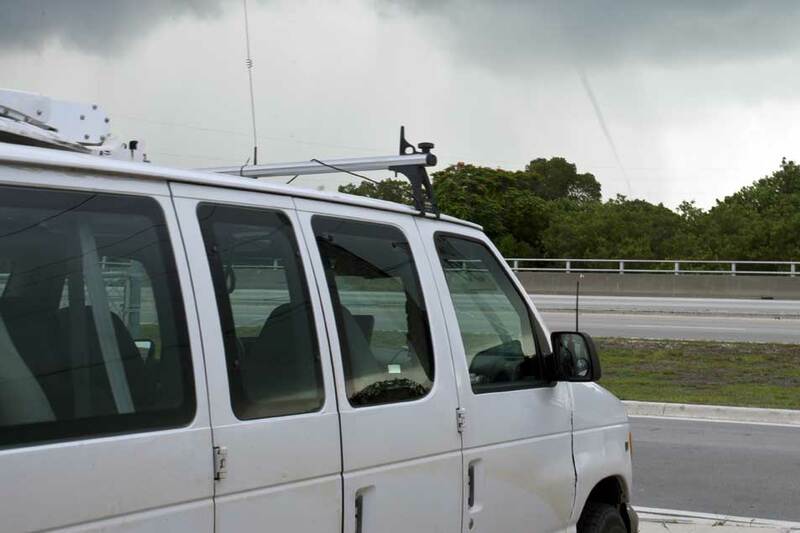 Another on-call waterspout tour ends with the successful interception of two waterspouts in the Florida Keys. Earlier in the day, a waterspout was sighted just offshore Miami and when we heard that news, Brian began questioning whether or not he misinterpreted the forecast. Within a few hours, things started shaping up and we intercepted a severe storm near Plantation Key and the town of Tavernier, which produced not just one, but two waterspouts at the same time. 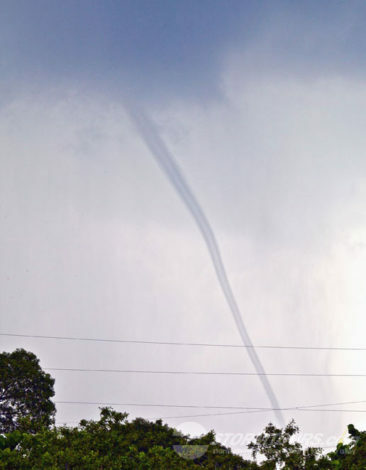 Unfortunately, it’s very difficult to access the water in some areas in the Florida Keys and these waterspouts were both on the bay side of the island, which is lined with private residences, so we had to settle with photos taken from US Highway 1. 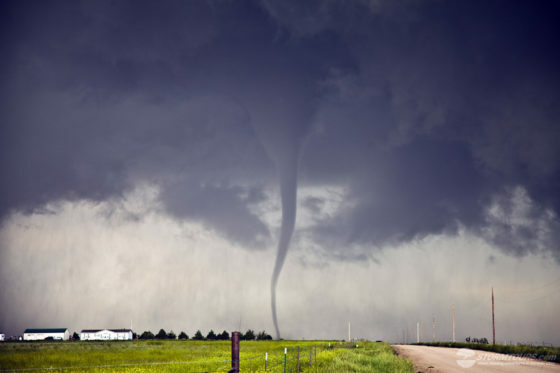 A waterspout is an intense columnar vortex (usually appearing as a funnel-shaped cloud) that occurs over a body of water. They are connected to a towering cumuliform cloud or a cumulonimbus cloud. 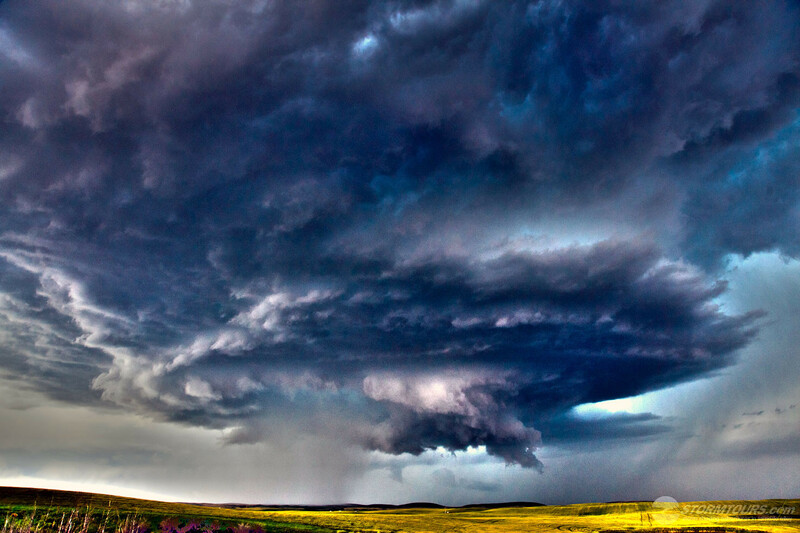 In the common form, it is a non-supercell tornado over water. We only offer “waterspout tours” upon special request (via our contact form), we don’t offer them through our normal Tour Schedule. And, they are not easy to operate, a lot of this depends on the customer. Waterspout tours are “on-call” storm chasing tours. The customer(s) must be willing to either book a flight into South Florida, or be in in South Florida on very short notice. 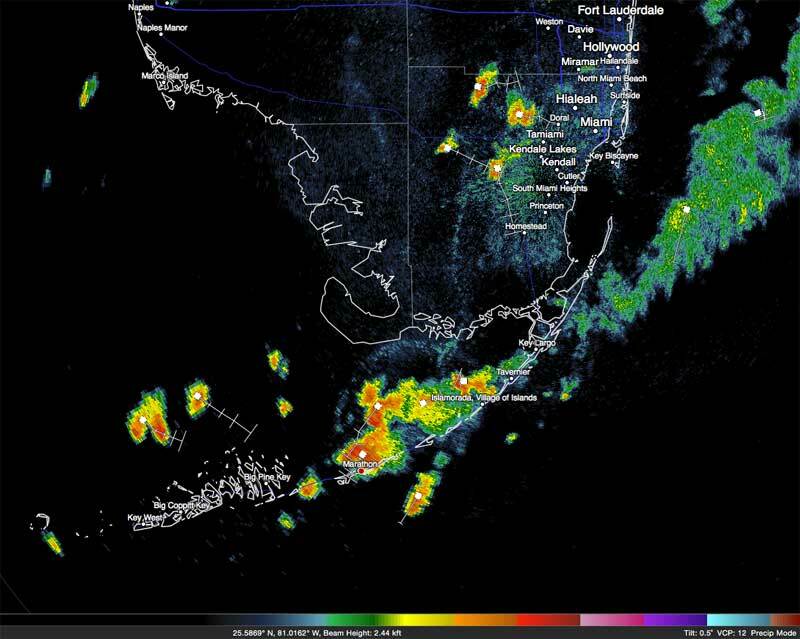 We carefully monitor weather conditions for the type of conditions that might create waterspouts. When we see a pattern emerging that catches our eye, we send an email out to you. When you receive that email, you have one-hour to RSVP and prepare to book your flight or make whatever necessary arrangements possible to be in South Florida within 24-hours. It’s not for everyone, and we admit that it is extremely difficult to do, but for those who make it possible, it’s a great adventure! During August, Tam and I make our annual pilgrimage to Canada to visit family. 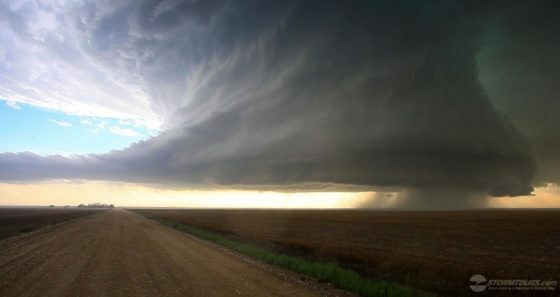 We usually do a bit of storm chasing during this trip as well since August is prime time for supercells and tornadic thunderstorms in the Canadian Prairies. While we have never conducted a tour operation in Canada, it is a possibility that we’re looking into for the near future. 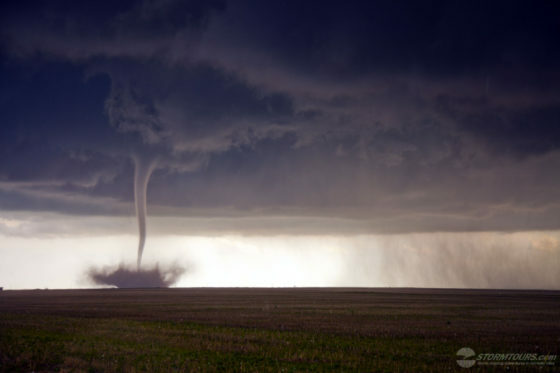 Storm chasing is Canada isn’t all that much different than storm chasing in the USA’s Tornado Alley. However, there are some differences. For starters, there isn’t a tremendous amount of nowcasting data available and radar coverage is quite limited. Nonetheless, for me personally, it just makes it that much more enjoyable because it’s less tech and more “eyes on”, and I really enjoy that. 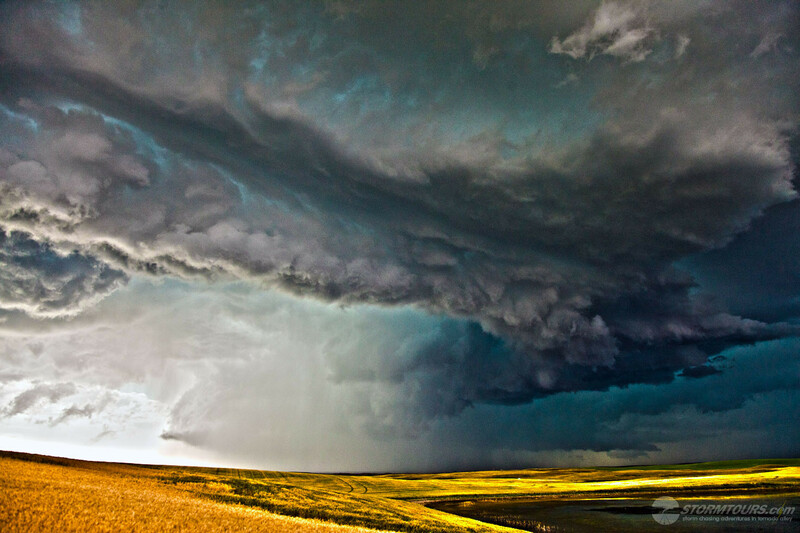 The frequency of storms are not as dependable as the USA however. 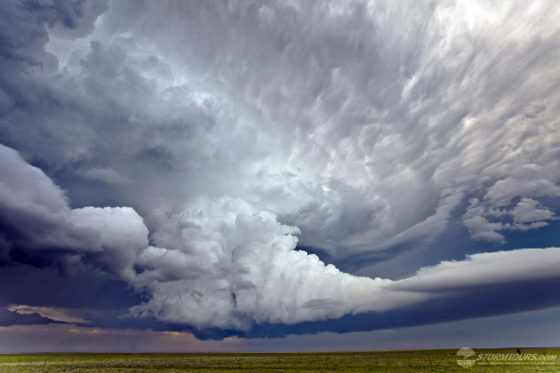 During the height of the storm season in May, we can easily say that we’ll get a couple of good storm chasing days per week in the USA’s central plains. 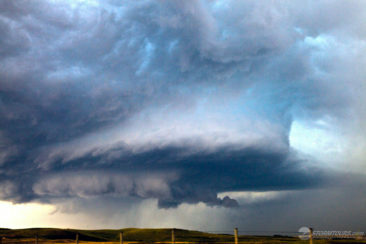 In Canada, there might be one storm chase day per week during Canada’s summer weather patterns. We are however exploring the possibility of establishing a separate business in Canada to conduct tours annually in August. These tours will be structured much differently than our USA tours due to less dependable storms. 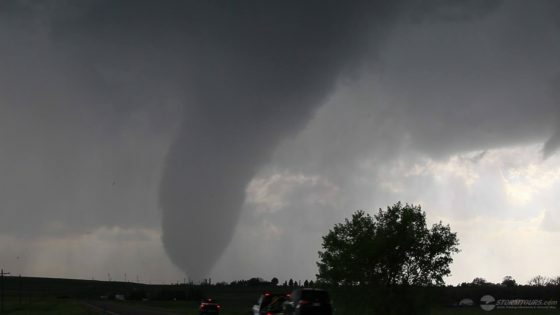 Instead of waking up in some portion of Tornado Alley and expecting the probability of day of storm chasing, we’ll be conducting scheduled tours of various sightseeing locations in Canada and breaking the normal tour schedule when there is a possibility of storm chasing. 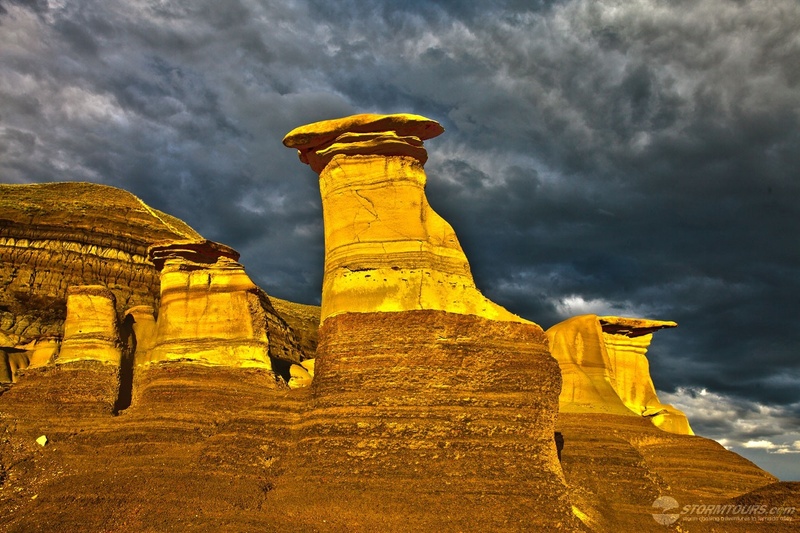 Such sightseeing locations will include visiting various national parks (Such as Banff and Waterton), visiting the Alberta Badlands to photograph the hoodoos (as shown below), and of course photographing the Northern Lights when given the opportunity. Here are a few photos from a single day to provide an idea of what you can expect from a Canadian storm chasing day. When we awoke the morning of June 4 at our hotel in Cheyenne, Wyoming and looked at the forecasting data, we assumed that we’d likely see a tornado before the day’s end. 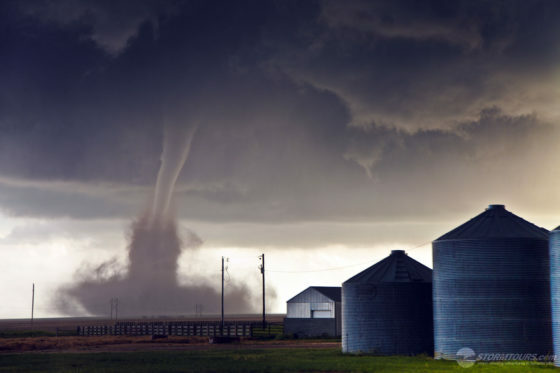 But, what happened near the sleepy farming community of Simla, Colorado was a surprise to us all. 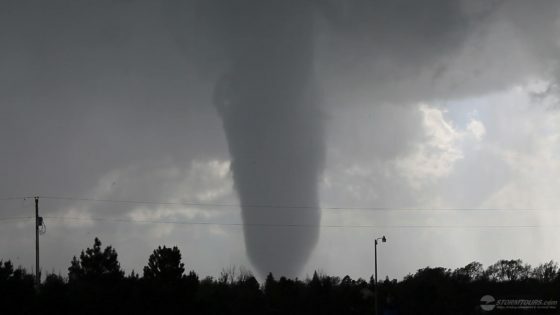 Before the day was over, we would witness nearly two-dozen tornado events during a mini-outbreak and at one time there was two tornadoes on the ground simultaneously, including an anticyclonic satellite tornado. 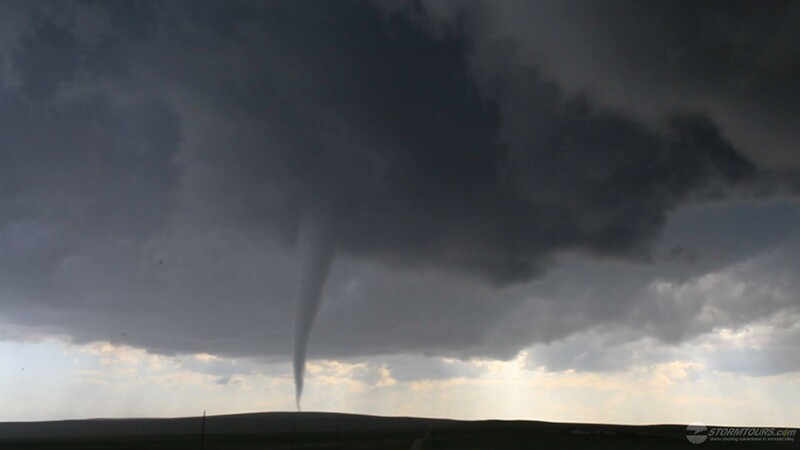 The forecasting data indicated two possible chase targets, target number one was in northwestern Kansas and the second was in central Colorado. 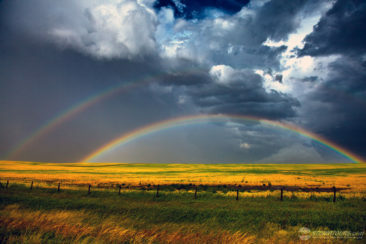 The dynamics for Kansas looked great, but one cannot ignore the nearly magical features of the Palmer Divide in central Colorado with nearly 3000 CAPE, so, Colorado it was! As we drove south across the Wyoming border a supercell formed behind us, nearly right on top of Cheyenne and was quickly tornado warned by the National Weather Service. 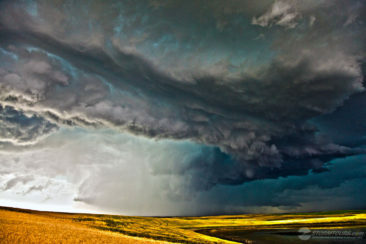 Looking at the storm in the mirrors as I continued south, I began to wonder if I was making a mistake of not turning around. I received a text message from some friends watching the Cheyenne storm who informed me that it was very disorganized and with towering cumulus in front of us in our target area, I made the decision to press on and get south of Limon..
Our storm chasing tours arrived at the storm with time to spare until tornado armageddon would begin. I quickly double checked the maps for any and all farm roads that we might be using to follow this supercell throughout the afternoon and parked the van directly under the organizing updraft base to begin shooting video. After 20-minutes of watching the wall cloud organize a funnel begin to poke out of the clouds swirling around above our heads. We watched the ground carefully and within a minute’s time, a swirl of dirt appeared – tornado! 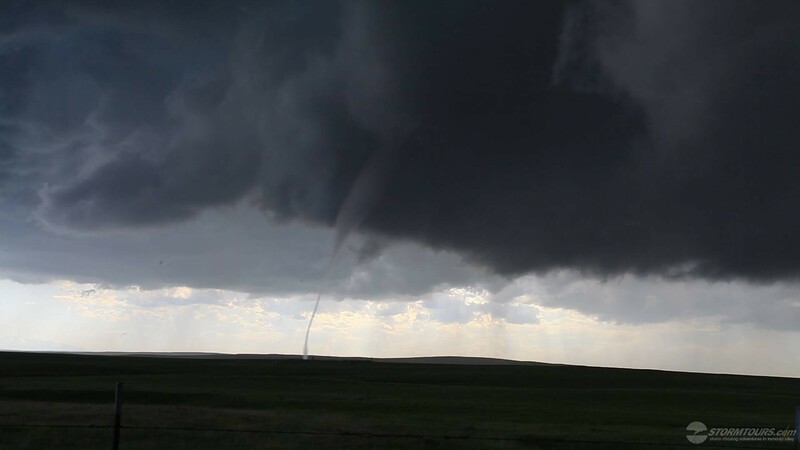 At 5 pm MDT, the first funnel made contact with the ground seven times as I called them out: “Tornado Number 1, Tornado Number 2, Tornado Number 3…” It was shaping up to be a very successful intercept and forecast validation. 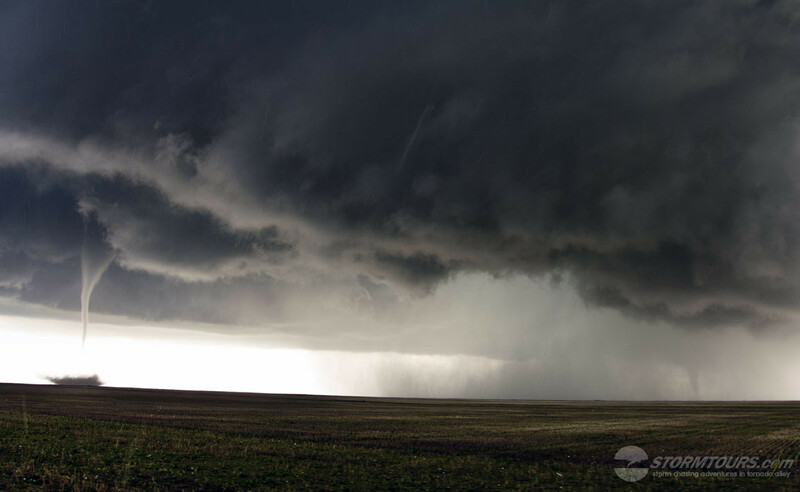 The supercell went through a few stages of intensification and reorganization as we tracked the storm over the next few hours for several miles, we seemed to have stop counting tornadoes after 19 and our the memory cards on our cameras were beginning to fill up to the max. All in all we witnessed about two-dozen tornado events and lost one window from the storm chasing van due to baseball sized hail. We ended the day with hundreds of tornado photos, a few hours of video and some much needed fast food before going to the hotel and patching up the van’s window. 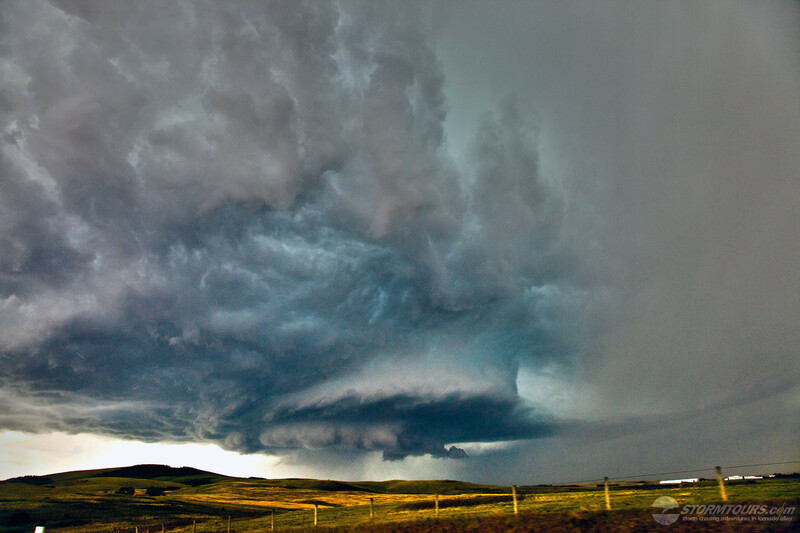 This was the last day of chasing for this storm chasing tour and needless to say, everyone was happy. The best part of the whole day was that there were no reported major injuries. 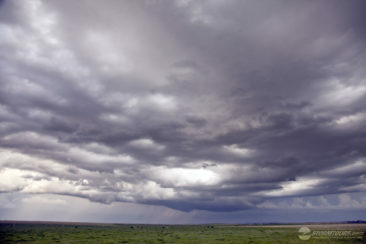 Our target area today was Wheatland, located in SE Wyoming. Wyoming is a bit difficult to chase in due to terrain and extremely limited road options, but it can be done and is absolutely gorgeous country. 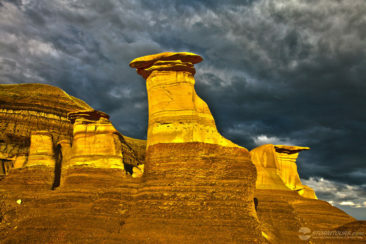 Due to it’s elevation, the storms that happen here seem almost magical with very little precipitation around the storm bases, making this ideal for photography. We intercepted two different supercells today and had a visual on a distant third, which we could see under the base for a very brief time. We were able to see a quick tornado under that third storm from the front of the van before losing sight of it due to terrain. 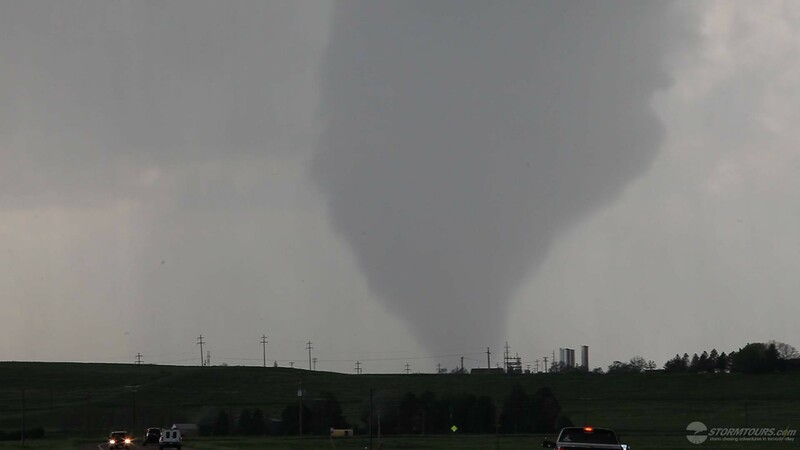 The tornado that we saw was on the edge of the horizon, and thus appeared very small from our viewpoint. 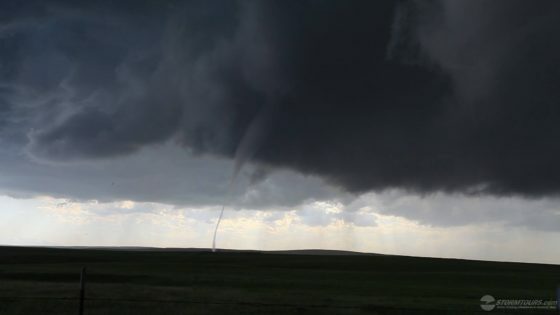 Later confirmation would tell us that the tornado was 3-miles south of Savageton, our viewing point was at the intersection of I-25 and US18 where we were following an LP storm that was moving nearly due north. After photographing the storm and playing in some hail, we decided to let this storm go and drop back to the south again to reposition on another storm closer to our original target area. After intercepting that storm near Wheatland, we followed it north towards Glendo State Park, however due to the hour and loss of light, decided to set up for lightning photography opportunities before calling it a day.